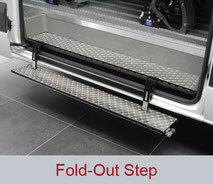 Most accidents happen when boarding or alighting a vehicle. That’s why suitable boarding aids are important. 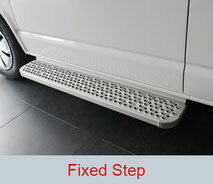 There must be safe steps on the vehicle for less able passengers. Handles in the area around the door facilitate boarding. 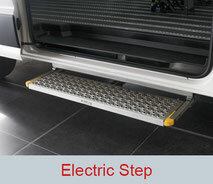 All AMF-Bruns safe steps comply with DIN 75078 and cover at least 70 % of the vehicle entrance area. Note: If passengers are transported sitting in a wheelchair, there must be a drive-in aid such as an access ramp or lift.